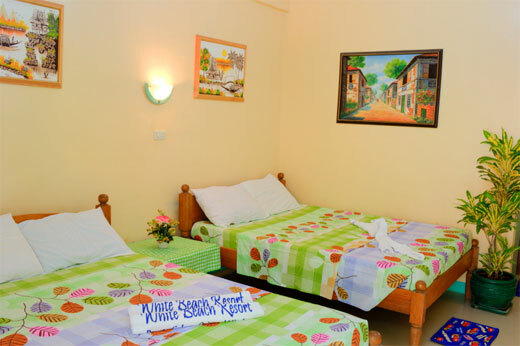 White Beach Resort has a total of 65 rooms and 6 room types. 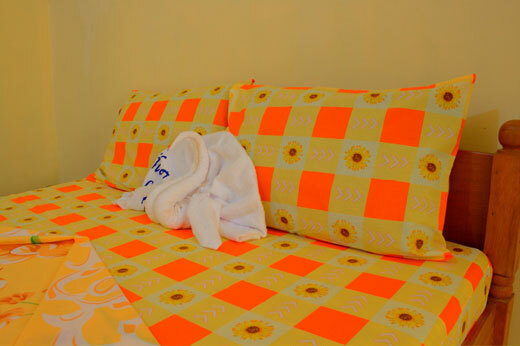 Our Family Rooms can accommodate additional person(s) with charge. Extra guests will use existing beds. No additional mattress or bed will be provided. 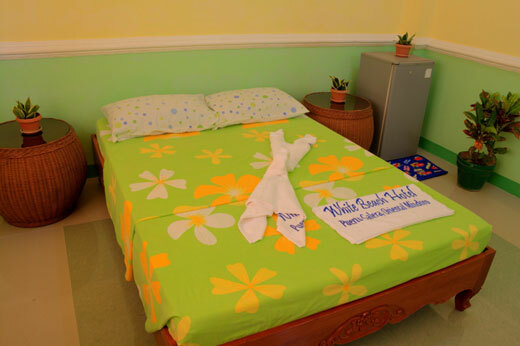 All of White Beach Resort's rooms are fully air-conditioned, with cable TV, and toilet & bath. This page was last updated on 4/19/2019. White Beach Puerto Galera room rates on this page DOES NOT INCLUDE boat transfer (Batangas to Puerto Galera and vice-versa) and breakfast or meals. Weekend rates also apply to Philippine Public Holidays. These rates are subject to change without prior notice. Please click on a Room Type name below to see some pictures of that room. Rates are per Room per Night. Send an email to wbrpuertogalera@gmail.com and inquiry@whitebeachresortpuertogalera.com to quickly book or make a reservation via bank deposit. Include the following information: (1) Lead guest's full name, (2) number of guests, (3) check-in and check-out dates, (4) room type(s) or package name, (5) Philippine mobile number (if available). You may also reserve your room(s) online by clicking here. message to your Facebook friends to tell them about this Rooms & Amenities page of White Beach Resort in White Beach Puerto Galera, Philippines. © 2019 White Beach Resort, White Beach Puerto Galera, Philippines. All rights reserved.